If old timber could talk, the stairs on David Gottfried’s Oakland, California home (at right) would have some wild tales to tell. The bullet holes testify to something that happened in an earlier life. The wood was once part of a century-old highway bridge, before it became part of Gottfried’s LEED certified home. David Gottfried's LEED Gold certified home in Oakland, CA. Gottfried happens to be the founder of the US Green Building Council, and his use of recycled materials is part of a trend. It’s a small trend – currently, less than 1 percent of discarded building materials get reused – but the trend is growing. The LEED rating system encourages builders to re-purpose materials, awarding points when wood, brick or other materials from an earlier structure are reused. The results can make for a good story as well as for a sustainable practice. Recently, Paul Pedini, a civil engineer who worked for 11 years on Boston’s Big Dig, built a house from the site’s leftovers. In a few places, there’s also something illegal about it. Here and there, cities have begun writing ordinances to encourage the recycling of not just the odd item or too, but large amounts of building material. For example, Orange County, North Carolina has drafted an ordinance that requires builders to separate wood, metal and drywall discards at construction sites. Alameda County, California’s Measure D, passed in 1990, called for a whopping 75% reduction of dump-bound refuse over a ten-year period. That 2010 deadline has arrived, and Alameda County has gotten close to meeting its goal, in large part because of the county’s emphasis on recycling and re-purposing building materials. 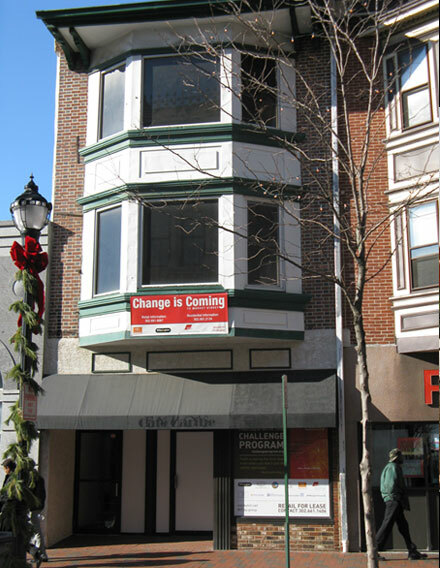 836 Market Street, renovated by the Challenge Program in Wilmington, DE. I’m not alone in finding gold amid the dross. Nonprofits like Habitat for Humanity and historical preservationists both share my interest in gleaning gems from old buildings. Kitchen designer and master blogger Paul Anater, who kindly invited me to write a guest post for this blog, tells me that he sends materials salvaged from his remodeling jobs to a ReStore, the materials storehouse run by and for Habitat for Humanity. As I have worked to launch my home remodeling design business over the past couple years, money has been tight. That hasn’t kept me from my favorite hobby: gardening. 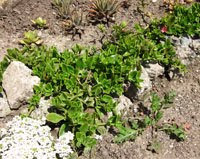 The beds in the garden are bordered by discarded brick and the “urbanite” that borders the sedum shown in the top photo. In addition, a growing number of designers share a fascination in designs that find new uses for found objects. I’m amazed that a couple thousand ordinary paper clips can be woven into the silvery and sinuous chandelier shown here. I have written several times about furniture makers who make a point of using reclaimed wood, either salvaged from old buildings, wine barrels, or from wind-toppled trees. 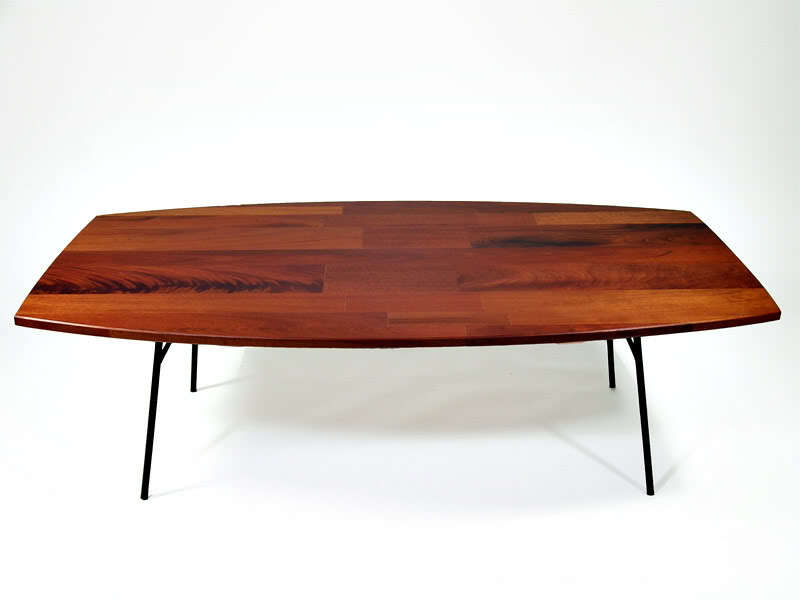 Master furniture maker and blogger Mitch Roberson and furniture maker Michael Yonke, creator of the gorgeous Diversion Coffee table below, are among my favorites. Diversion coffee table by Michael Yonke. Color results from the natural aging wood patina from two year open air treatment. Materials: Reclaimed and re-purposed tropical forest true mahogany. It was from talking with furniture makers that I learned that reclaimed wood is often much better quality than newly harvested timber. The reason is that old buildings were built from first-growth wood, which is stronger, denser and taller than the second- and third-growth forests now being cut. This is why the length and mass of beams in old buildings is so impressive – they simply don’t grow ‘em like that anymore. It’s expensive and wasteful to bury building materials in what designer William McDonough has called “product graves” – i.e., dump sites. And it’s not just what gets carted away after the wrecking ball hits an old building that gets trashed. Dumps also runneth over with left-overs from new buildings. A new 2,000-square-foot house typically contributes nearly 8.5 tons of materials to the dump! But spurred both by changing economics, legislation, and a desire to do the right thing, a number of firms across the US now specialize not just in reclaiming and reusing parts of the house, but in deconstructing and recycling the whole darn house! The field, called “deconstruction,” is related to but different from demolition, the traditional swing-the-wrecking-ball method of taking down buildings. Of course, people have been selectively harvesting items from old buildings for centuries – there are many buildings in Northern England that were constructed of stones taken from Hadrian’s wall. And there has long been a market for salvaged items from Victorian houses, despite the fact that it’s a lot harder to pull nails out than it is to blow them in with a nail gun. But both the reasons for and ways of recycling building materials are growing, led by firms such as those mentioned at the bottom of this post. 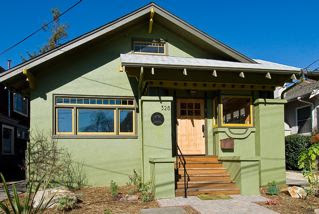 The Reuse People, a mostly-West Coast nonprofit that began in San Diego in 1993, have worked hard to standardize efficient building deconstruction practices. They have taken down hundreds of buildings in the San Diego, San Francisco, Seattle and Boulder areas, and have done much to educate the building trade. They write an informative newsletter called the Velvet Crowbar and and have even written a detailed training manual on deconstruction. Their website includes an annotated listing of 100 related local businesses and resources for deconstruction minded consumers in the San Francisco-Oakland region. Reconnx, Inc., a deconstruction firm that is located in Boulder, Colorado, has the distinction of creating the Nail Kicker de-nailing gun. The company was started in 1996, by Jon Giltner, a registered structural engineer, who like Paul Pedini, was frustrated by seeing useable 2″ x 12s” and other construction materials being dumped in a landfill. His career in reuse began. He first focused on developing finger jointing, and adapted table saws and multi-phased drills for deconstruction. Reconnx is now the premier equipment supplier for the deconstruction industry. Another laudable organization involved in deconstruction is the Challenge Program, a non-profit youth training program in Wilmington, Delaware. Through the program 18 to 21-year-olds are given 6 months of intensive construction training that includes 700 hours of site-based construction training, deconstruction of buildings and on-site classes. As the biographies of the participants make clear, trainees come to the program without high school diplomas, but in many cases with prison records. Through the program, they gain both their GEDs and job skills. 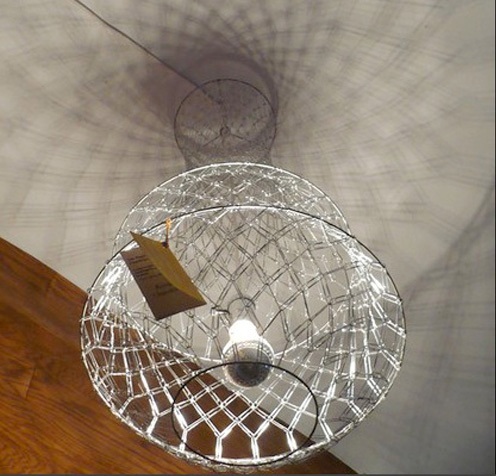 So it’s not only building materials that are being “upcycled” – it’s also human lives. This post is a guest blog written by Nicolette Toussaint, who is visiting from the San Francisco Bay Area. Nicolette is the author of Living in Comfort and Joy. Thanks for a well-researched and instructive post Nicolette. The resources you provided at the end are perfect! Interesting article with some excellent resource material Nicolette. My community has a number of commercial centers selling recycled building components but DIYers are very price sensitive. Such recycling could easily start in our local landfill. Where we used to be able to retrieve landscape ties and such has now been prohibited. Do you have any successful community models where the local governance organized efficient and inexpensive recycling of materials right at the landfills? I too am an avid landscaper and am annoyed and offended when I see "no scavenging" signs in front of perfectly good landscape materials or mountains of plywood discards. My cabinetmaker uses recycled antique wood to make the cabinet faces and doors and also milk paint--while his use of recycled materials was not the primary reason we chose to work with him, it was an added benefit. We will be 'recycling' our current 40 year old cabinets by moving them to our barn for additional storage! Paul Pedini (the guy with the house made from materials from Boston's Big Dig) was featured in episode 4 of season 1. The first season is on Netflix and available for streaming until May 1. Nerdy entertainment for when you're doing some mindless task. I would love to hear what Paul Pedini has to say; I will be checking out that episode. Great idea about moving those old cabinets to the barn. And I love the idea of making the cabinets themselves out of antique wood. It gets down to a political and educational problem. You will find some good case studies on getting attitudes and rules changed at the Building Materials Reuse Association website, which is bookmarked above in the resources section. Another good way to put some pressure on is with blogs. I know what you're saying about DIY's being price sensitive. Given the economy of the last couple years, I "resemble that remark." 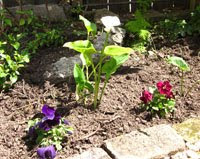 My TIC group had a $10,000 bid to redo our garden, and there has been no way we could do it. (First things first, the back porch and stairs are in dire need of repair.) But it turns out that there are lots of recycled materials available on both the "free" list and also the "materials" sectio of Craigslist. I wanted to say Nicolette -- thank you for the thoroughly researched piece. . . it is great to have all of this info in one place.